Dana Markos Events had the pleasure of being featured in a photo shoot for Southern New England Weddings at the Ledgemont Country Club. 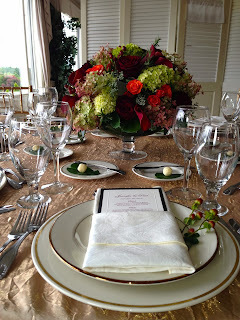 To reintroduce vendors to Ledgemont Country Club a cocktail party was held to show what the venue has to offer. 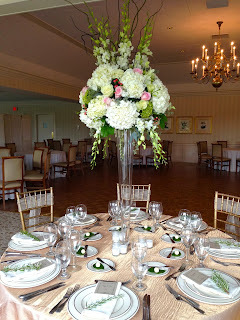 We set up two mock table settings, a welcome arrangement, cocktail tables, and ceremony arrangements, so that the guests can get a taste of what DME can do! 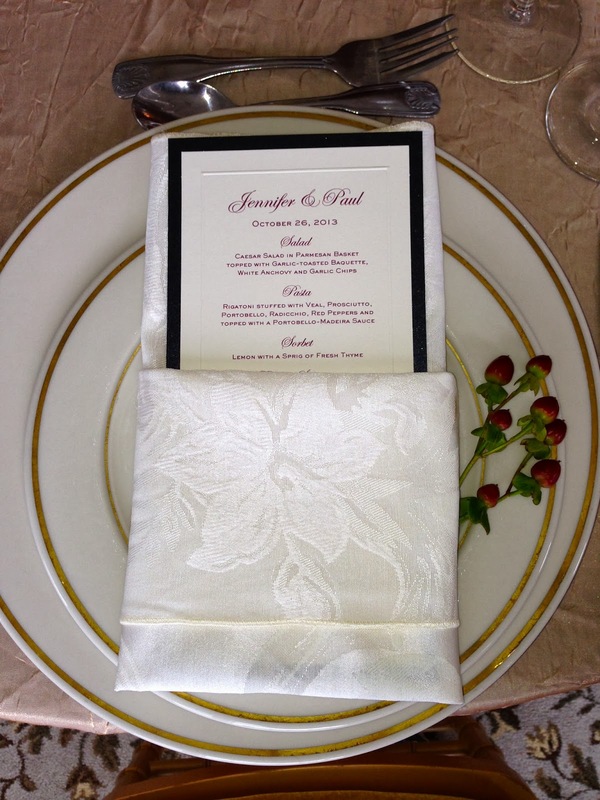 To show off the work that DME creates, two different tablescapes were designed. 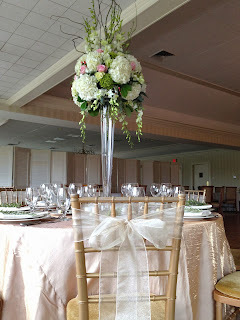 One was a very tall, elegant arrangement that brought the room to life and definitely commanded attention. 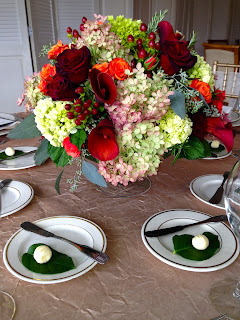 The soft color pallet made the table feel romantic and small candles gave the table warmth. 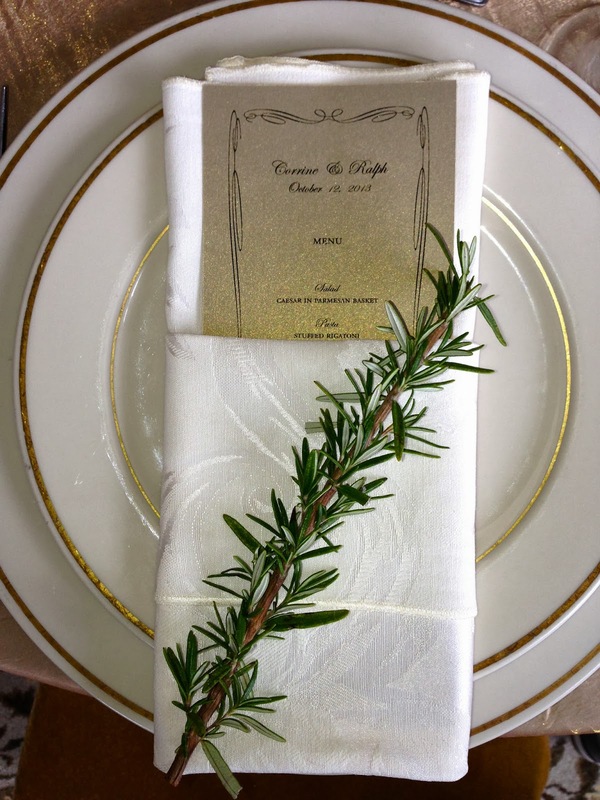 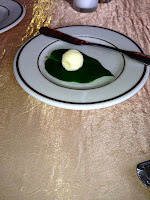 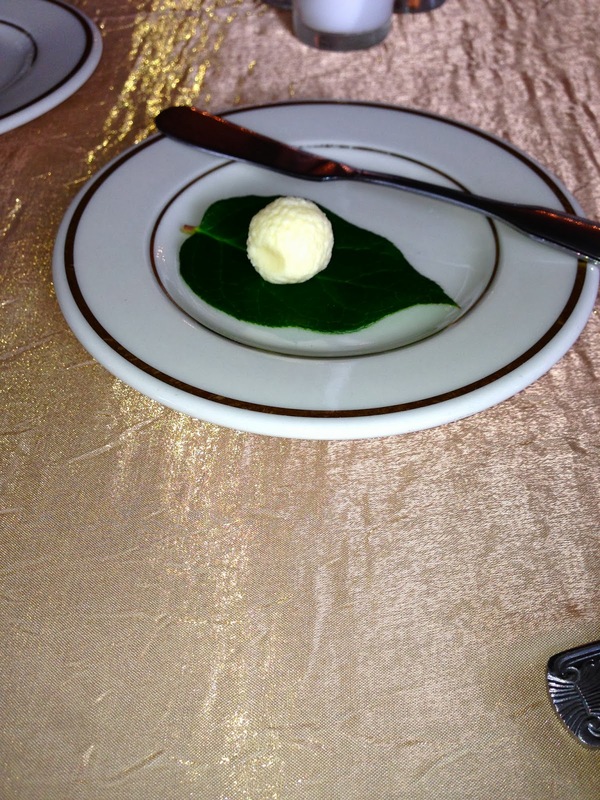 To give the table some greenery small sprigs of rosemary were placed on top of the napkins, and small lemon leaf leaves held little butter balls, the perfect way to add a simple but affective detail to the table. 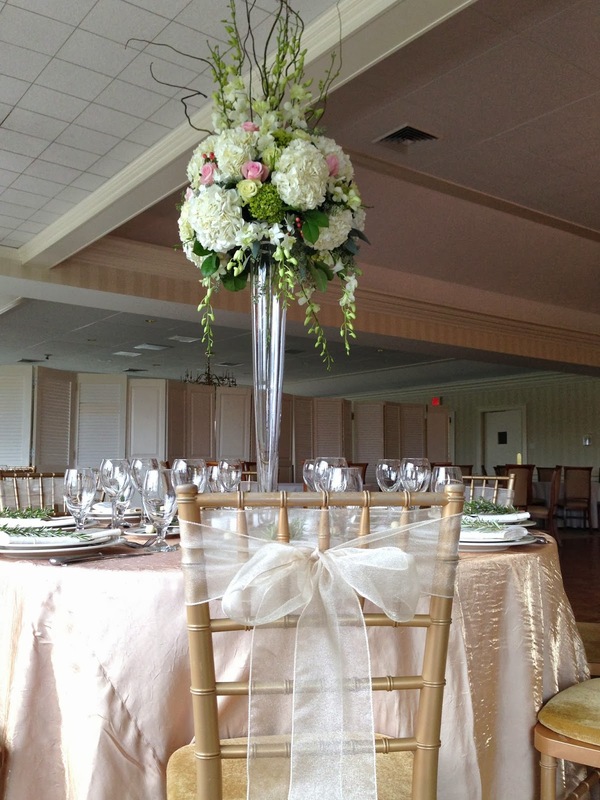 The final touch was a simple organza bow tied around every chair finished in a bow. The second table arrangement incorporated the beautiful colors of fall. The warm reds, oranges, and greens made the table feel cozy and welcoming. 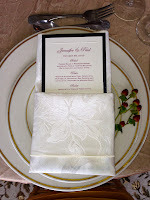 Small sprigs of red berries were placed along side the menu which pulled red from the centerpiece making the entire tablescape cohesive. Sunflowers and red berries were used for the cocktail tables, these warm fall colors gave the room the perfect touch of color and made the room more inviting. 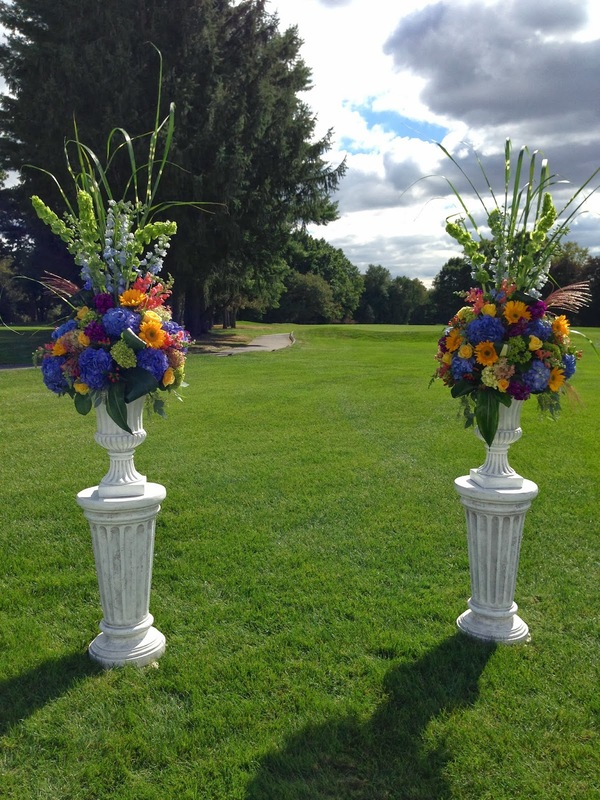 Two gorgeous ceremony arrangements incorporated beautiful blues, yellows, and greens to give the ceremony space life. 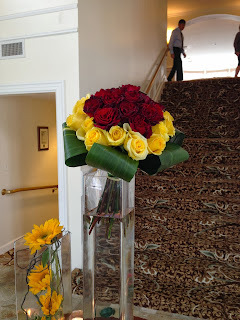 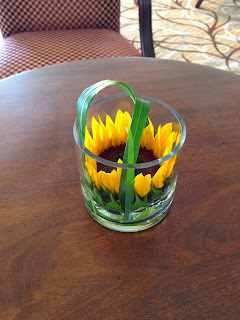 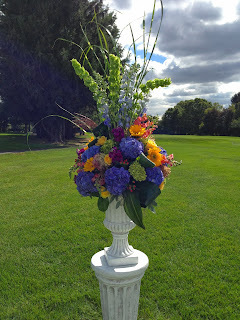 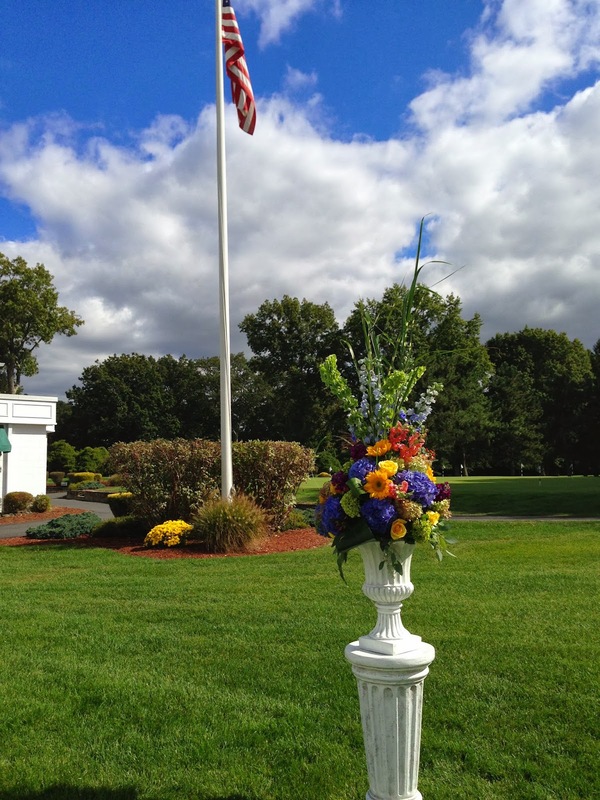 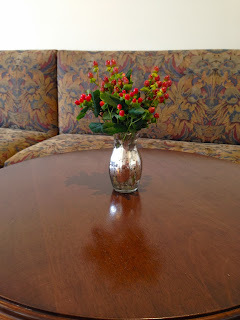 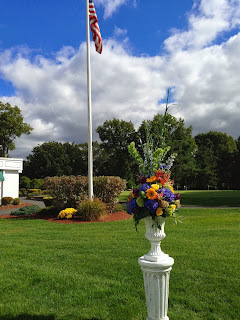 These colored popped against the bright green background of the golf course making these arrangements a show stopper. 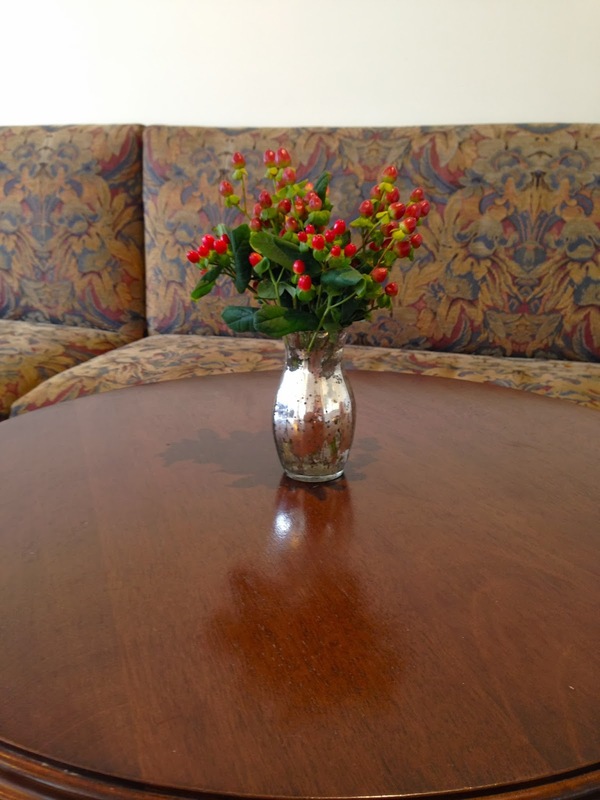 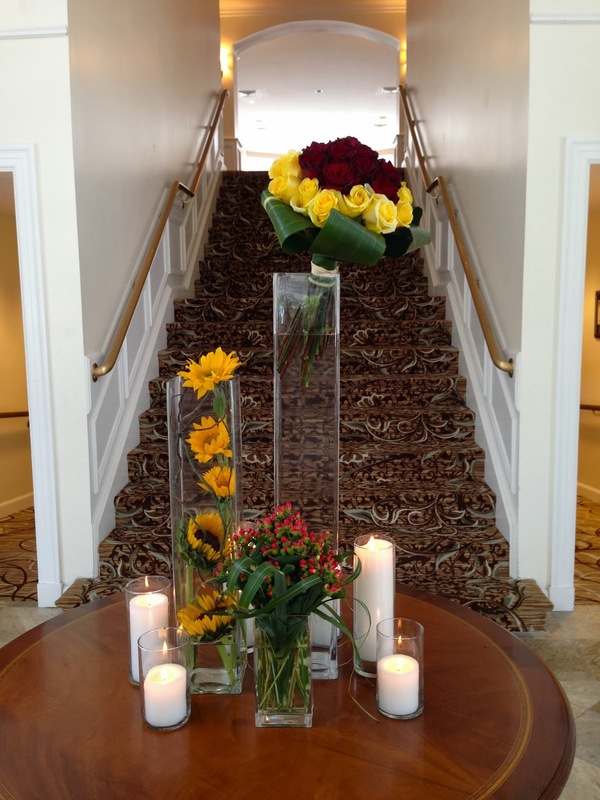 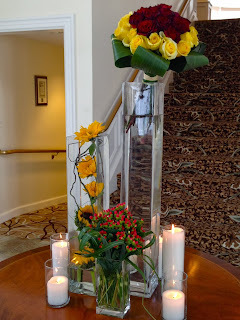 The welcome arrangements commanded attention when you entered the Country Club mezzanine. Three tall arrangements complimented the color scheme of the country club and created an interesting focal point for the room. Sunflowers, red roses, and berries gave the guests a small preview of what they would be seeing throughout the rest of the event. Candlelight created a glow of warmth illuminating the water in the larger vases.